Many of those who made the first revolution practiced the most extreme form of economic exploitation and social oppression: they were slave owners. We have good reason to be cautious, to be quiet, not to rock the boat. A lot of peace and comfort is at stake. The mental and moral shift from denial of injustice to consciousness of injustice is often made at very high cost. Maybe freedom cannot be attained through human institutions but must remain a quality of the mind or spirit not dependent on circumstances, a gift of grace… My problem with it is that its devaluation of work and circumstance encourages institutional injustices which make the gift of grace inaccessible. A two-year-old child who dies of starvation or a beating or a firebombing has not been granted access to freedom, nor any gift of grace, in any sense in which I can understand the words. We can attain by our own efforts only an imperfect justice, a limited freedom. Better than none. Let us hold fast to that principle, the love of Freedom, of which the freed slave, the poet, spoke. The shift from denial of injustice to recognition of injustice can’t be unmade. What your eyes have seen they have seen. Once you see the injustice, you can never again in good faith deny the oppression and defend the oppressor. What was loyalty is now betrayal. From now on, if you don’t resist, you collude. But there is a middle ground between defense and attack, a ground of flexible resistance, a space opened for change. It is not an easy place to find or live in. Power not only corrupts, it addicts. Work becomes destruction. Nothing is built. Societies change with and without violence. Reinvention is possible. Building is possible. What tools have we to build with except hammers, nails, saws — education, learning to think, learning skills? Are there indeed tools that have not been invented, which we must invent in order to build the house we want our children to live in? Can we go on from what we know now, or does what we know now keep us from learning what we need to know? To learn what people of color, the women, the poor, have to teach, to learn the knowledge we need, must we unlearn all the knowledge of the whites, the men, the powerful? The exercise of imagination is dangerous to those who profit from the way things are because it has the power to show that the way things are is not permanent, not universal, not necessary. Having that real though limited power to put established institutions into question, imaginative literature has also the responsibility of power. The storyteller is the truthteller. Copyright 2004 Ursula K. Le Guin. From The Wave in the Mind: Talks and Essays on the Writer, the Reader, and the Imagination. Quoted in BrainPickings. Would it be OK if I cross-posted this article to WriterBeat.com? There is no fee, I’m simply trying to add more content diversity for our community and I liked what you wrote. I’ll be sure to give you complet5e credit as the author. If “OK” please let me know via email. I think she was writing about the British taxes that prompted the Revolutionary War, rather than the exploitation of the colonists of slaves and native people. I see your page is in the same niche like my blog. Do you allow guest posting? Hi! Send me some of your work, and I’ll take a look at it. 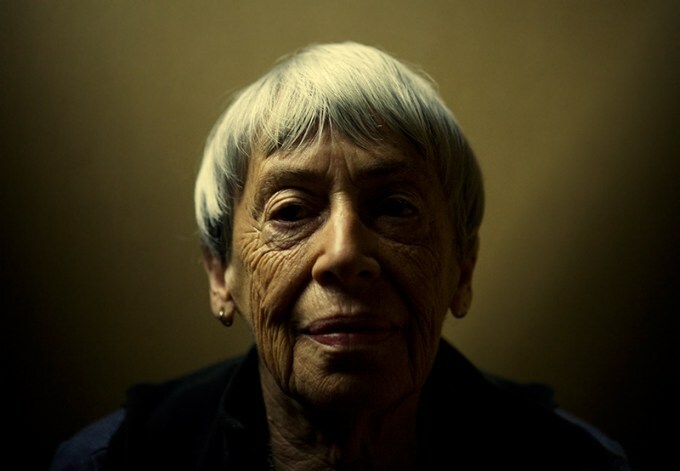 This entry was posted on October 28, 2016 by Vox Populi in Opinion Leaders, Social Justice and tagged On Power Oppression and Freedom, racism, slavery in America, Ursula K. Le Guin.